( and only 2GB RAM shared with GPU), after many times using the i386 had system crash on play video..
and a new YUMI (2.0.2.2) for test live with USB stick. even could install some software to see the RPI, but that is lost with reboot. a install to a harddisk was not possible ( YUMI problem ) so i had to burn a DVD and install it to a old HD from there. i tried many hours with problems about partitioning the HD and with error to install the GRUB. and its so bad that i not even know why it was working finally. a second install to a USB stick had same GRUB install error problem and i had to give up. but system ( on HD ) runs nice, fast and low RAM usage, and i feel HOME. 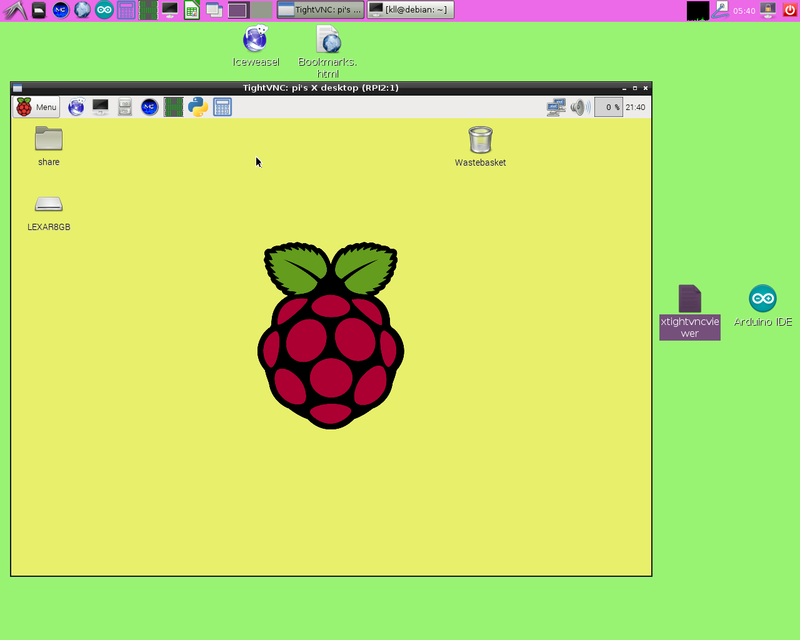 usual installs of xtightvnc viewer and putty ( to connect to RPI ) and mc. a older skype version need some i386 tricks to install, but works fine too. and burn them. The install to a USB stick ( used > 4GB ) worked, but i ended up with a GNOME version. at the beginning of the installation is a advanced menu where you can find the selection of the version LXDE, KDE ... GNOME is DEFAULT. I just installed again, but instead it should be possible to switch later. both installations without any problems with partitioning or GRUBing. with user root / pw i can not login, aha see here the easiest way is to reconfigure the login screen to allow administrator logins. Reboot, at the login prompt, click on Actions (bottom of screen). Choose "Configure Login Manager". Enter the root password. Scroll to where it says Security and put a check mark next to "Allow Local System Administrator Login". Close. Now log in as root. but as user i can use root privileges with the root password. still i see errors when i want use sudo. 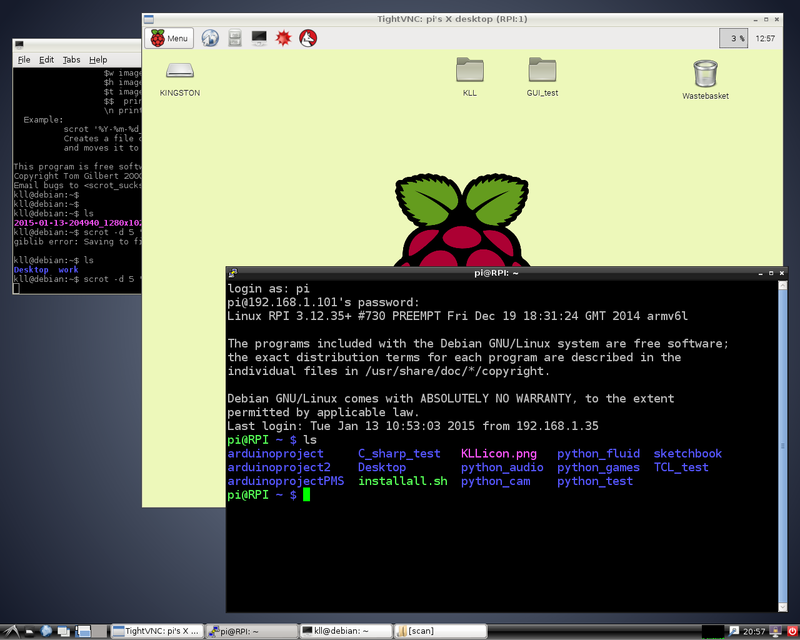 thats how the sudo on RPI for user pi works. what i would like to get running is a common network drive between the desktop and the RPI ?samba? i look at AMD FM2 A8-6600K 3.9 GHz (95euro) but with the speed, even from USB stick as system drive, linux impresses me, i actually do not need to buy a new computer.